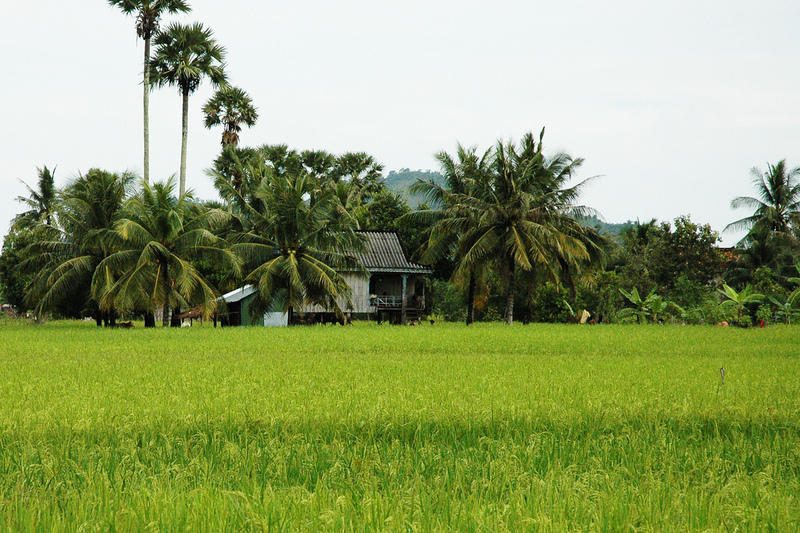 Want to relax after exploring the temples and cities around Cambodia? 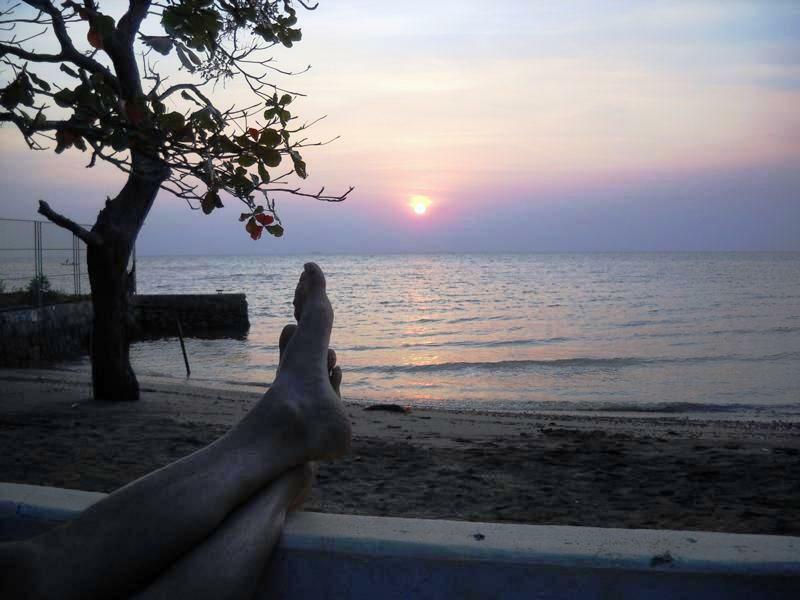 Visit the seaside town of Kep where you can do nothing, and enjoy it! What I like best about Kep might be what someone else would like least: There’s nothing to do. If you’re looking for a place to be entertained or stimulated, Kep’s not the place to go. But if you’re attracted to peace and tranquility, lush verdant jungles with rugged hiking trails, warm balmy seas and white sandy beaches, you might just find yourself in heaven. 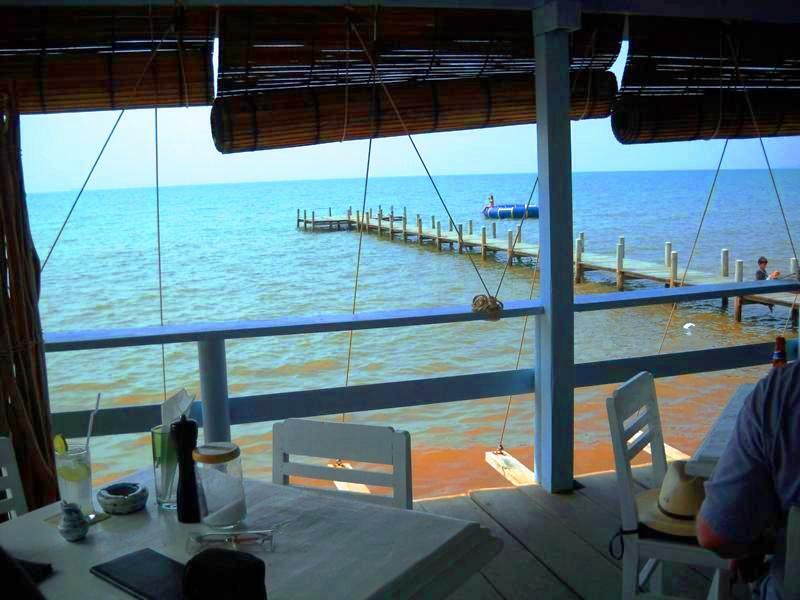 Located on the south coast of Cambodia, Kep is relatively unknown by much of the world and a blissful retreat for locals who know — and for expats and tourists who find out. 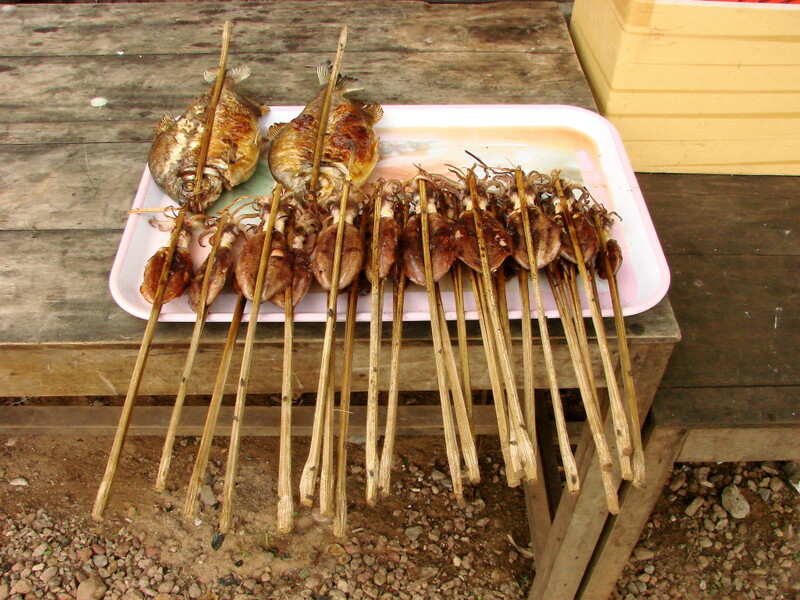 A former luxury resort town in the ‘60s, this sleepy seaside town offers not only a haven for laid-back visitors, it also happens to have the best crab in Cambodia (or, as one of our visitors recently remarked, “the best food I’ve tasted in Asia”). It’s also the only place I’ve known where, when you order a dozen oysters, the waiter (at Breezes restaurant) wades knee-deep into the sea to pull out a bag of fresh bicuspids which are dangling in a bag on the edge of the beach. It’s a place you may never want to leave. Where the piercing sounds of birds cawing in the jungle and insects buzzing atop the lush foliage lull you to sleep on steamy afternoons; and where the blazing sun shimmers on the azure blue Gulf of Thailand until it slowly slides with a blazing orange hurrah into the evening horizon. If you’re looking for a little more activity than sitting in a hammock all day, you can check out the Crab Market which, during the day, is bustling with a multitude of crab catchers pulling in heavy, well-worn nets and, at night, folds into a lively string of restaurants selling, you guessed it, crab (along with hordes of other options, both surf and turf alike). Our favorite is KimLy for the scrumptious plates of succulent crab with Kampot pepper and their equally delicious shrimp with spicy sauce, to be experienced after stopping by Toucan, a couple of doors down, for a stunning happy hour (get the little table sitting over the water and be there for sunset). 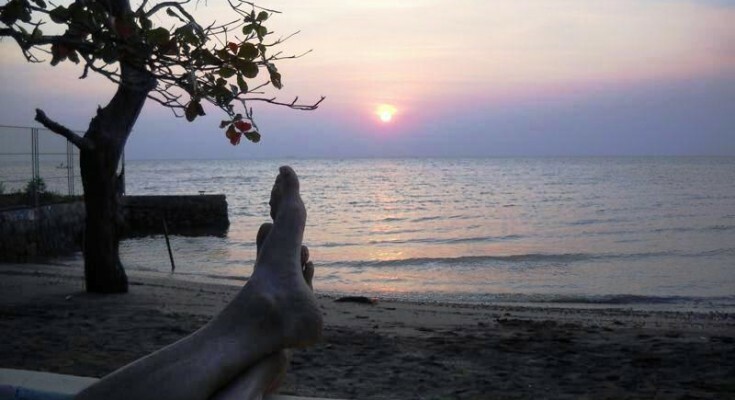 When it comes to lodging, Kep offers the full range – from cheap and not-so-cheerful guesthouses up to luxurious and expensive oceanfront suites. Economical and pleasant options include the Star Inn, Kukuluku Beach Club, the Beach House and Treetop Bungalows while high-end lodgings include the extravagant Knai Bang Chatt, the Kep Lodge, the Veranda, Le Bout du Monde and Le Flamboyant. My favorite, however, is the Jasmine Valley Eco-resort. Burried in the mountains, surrounded by lush jungle undergrowth with sweeping views across the sea to Vietnam, these rustic bungalows offer total peace and solitude, a natural swimming pool, small restaurant and hikes across the mountain to the Veranda resort. Another appealing option is a visit to Rabbit Island, a tiny atoll reached via a 30-minute boat ride from the ferry landing in Kep (about $7 per person roundtrip). This mostly uninhabited island (apart from a handful of bungalows renting for $5 – $10/night) is an exquisite setting for an afternoon, a day or a week. There’s nothing to do but lie on the snowy white sand, float in balmy warm sea, dine on simple Cambodian fare at tables planted in the shoreline or spread yourself across a small wood platform on the beach for an oceanfront massage ($7 for an hour). Yes, there are things to do if you seek them out, but the overarching message when you get to Kep is this: Do nothing. Go nowhere. And enjoy it.